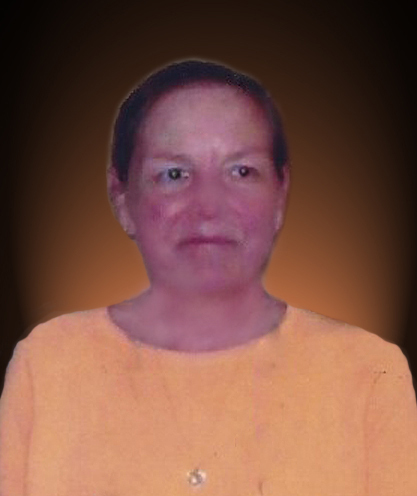 Karen Sue (Roeder) Cecil – age 61, former Goodland, Kansas resident died Friday, March 29, 2019 at her daughter’s home in Hays, Kansas. She was born November 29, 1957, in Goodland, Kansas to Ronald Paul and Dorothy Pauline (Nondorf) Roeder Sr. She married Mike Cecil on April 28, 1990. She was a loan officer and program technician for 29 years at the USDA, Farmers Home Administration office in Goodland, Kansas. Karen began her education in Colorado Springs, Colorado and several other states. She also spent 2 ½ years in Germany and was a 1975 graduate of Ferndale High School in Ferndale, Michigan. She moved to Goodland in 1975 and became a certified nurse and worked at the Goodland Hospital until starting with the USDA in 1977. In 2009 she moved to Medford, Oklahoma and was diagnosed with the Swine Flue and shortly after developed COPD. Karen moved in 2018 to her daughter’s home in Hays, she enjoyed playing cards, gardening, camping and her only grand cat, “Squirt”. Survivors include her daughter, Natashia Cecil, Hays, Ks; her former husband, Mike Cecil, Goodland, KS; two brothers, Ron Roeder Jr, and wife, Tina, Goodland, KS; Curtis Roeder and wife, Donna, Hominy, OK; two sisters, Phyllis Ailey, Goodland, KS; Rita Gattshall and husband, Todd, Thornton, CO; six nephews and nieces; and 5 great nephews and great nieces. A celebration of her life memorial service is at 10:00 A.M. (Mountain Time) Saturday, April 13, 2019, at the Emmanuel Lutheran Church, 222 West 13th Street, Goodland, Kansas. Inurnment will be at the Goodland Cemetery in Goodland, Kansas. The family suggests memorials to the Humane Society of the High Plains, 2050 Hwy 40, Hays, Kansas 67601. Services are entrusted to Cline’s-Keithley Mortuary of Hays, 1919 East 22nd Street, Hays, Kansas 67601.